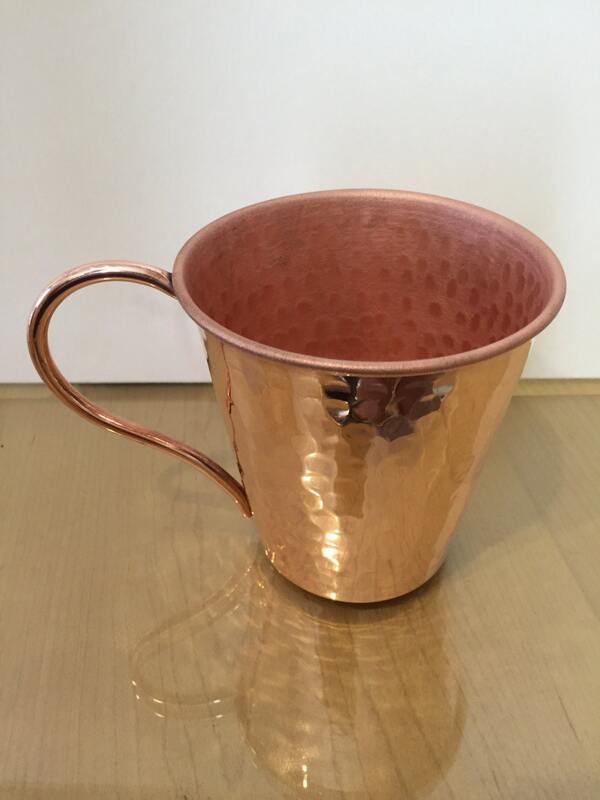 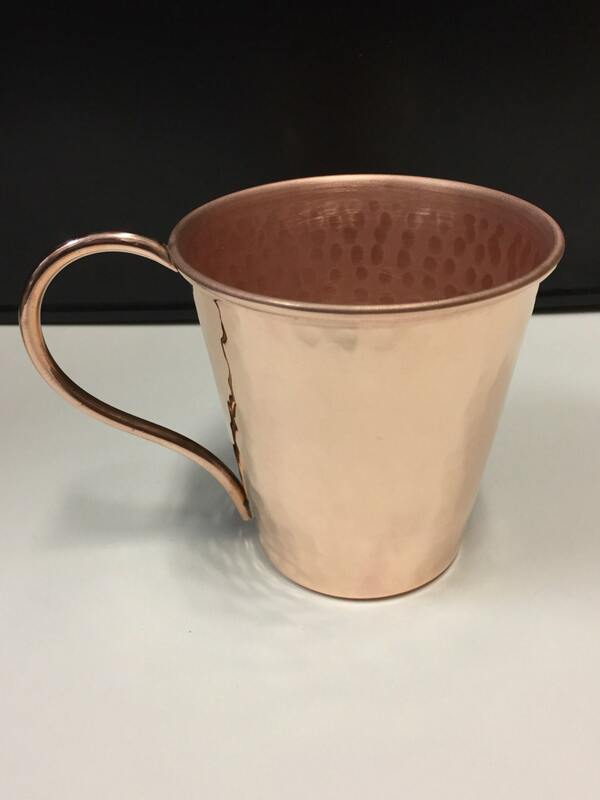 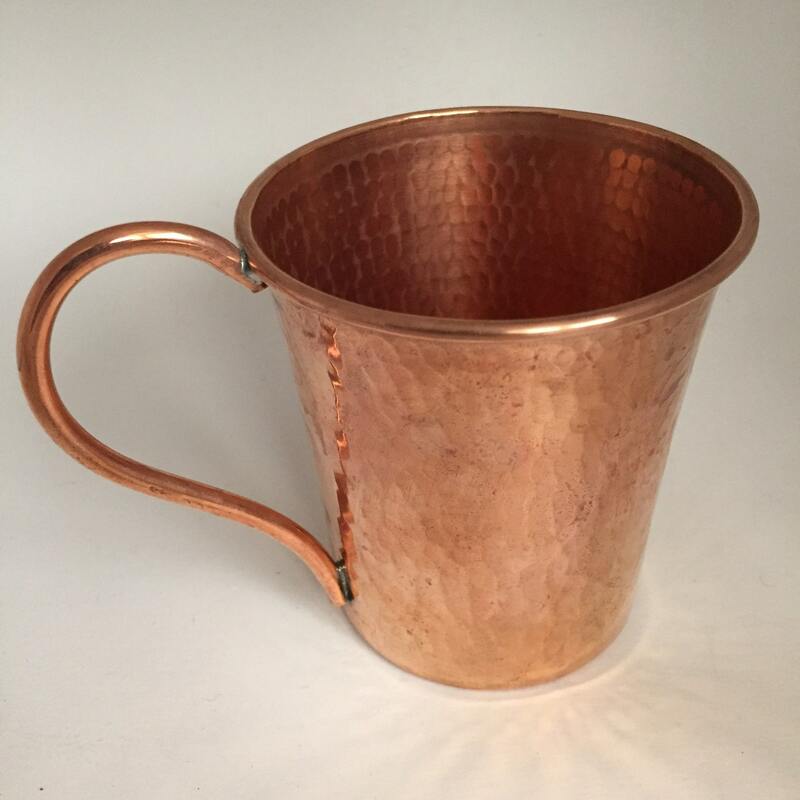 14oz Moscow Mule Copper Mug, 100% copper, hammered style, hand-crafted. 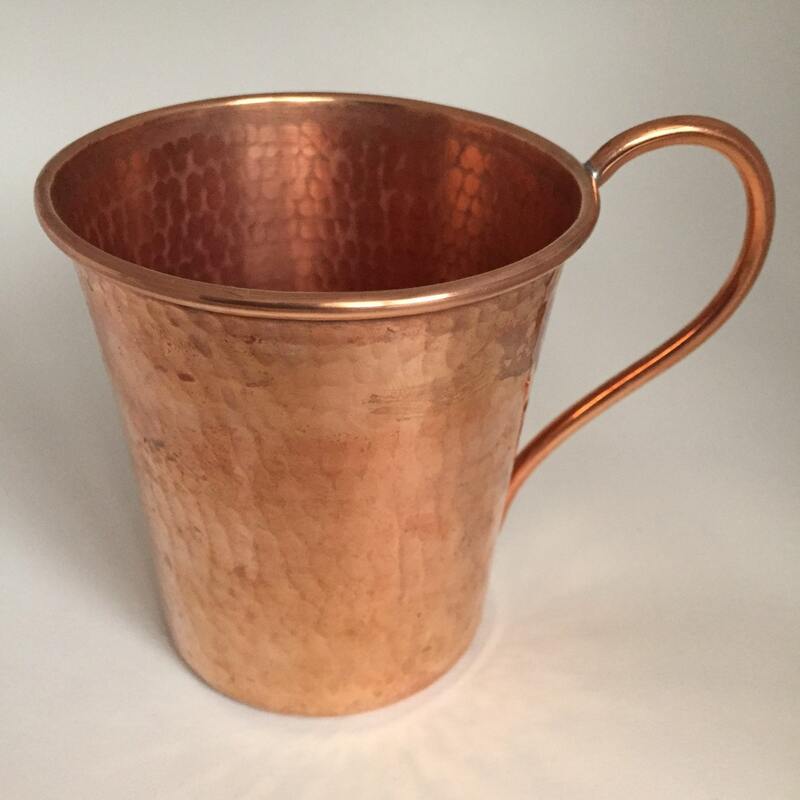 8.5 cm wide (top) x 10 cm tall / 3.35 inches wide x 4.33 inches tall (not including handle). 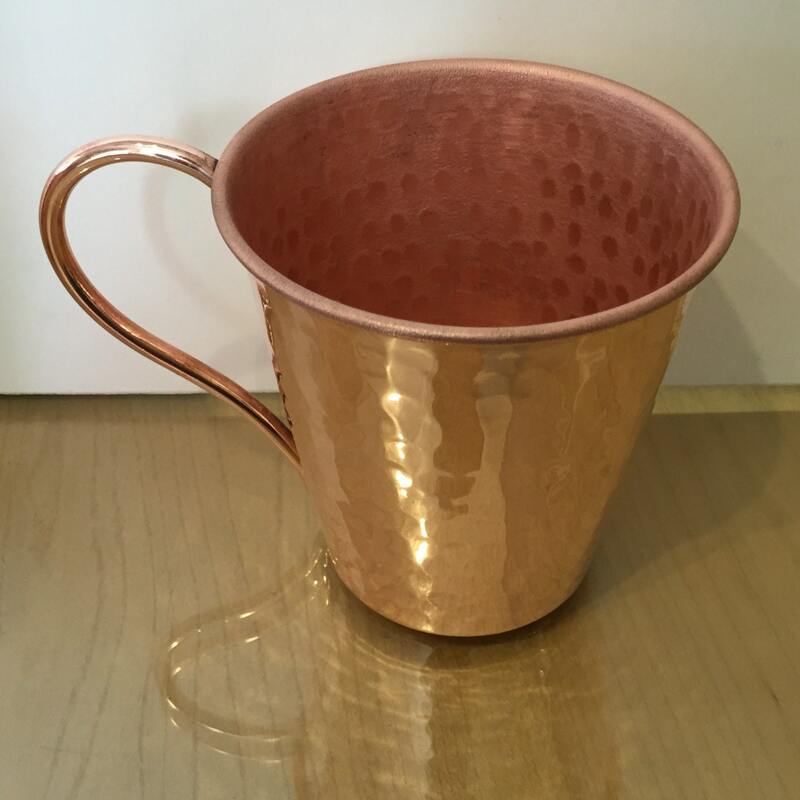 These mugs are a tapered design (7 cm wide on bottom).